Connect deeply. Lead fearlessly. Transform results. This program will give you and your leaders practical skills to maximise team performance and build workplace culture. Operating in ‘expert’ mode and solving all the problems personally, rather than empowering the team? Lacking the ability or confidence to have crucial performance conversations? Missing opportunities to develop the people on the job? Trying to ‘control’ people and situations and so working harder than necessary? 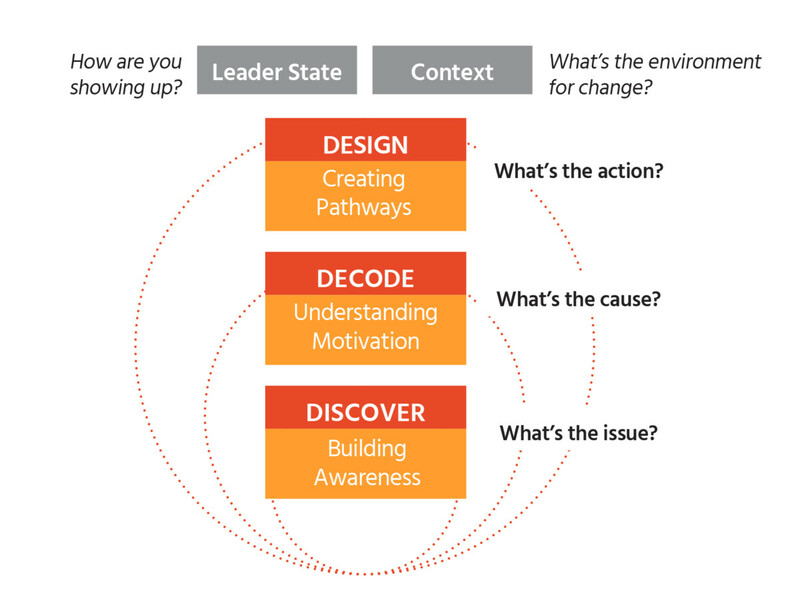 Questions engage people, build accountability and create insight. Questions underpin a coaching approach. 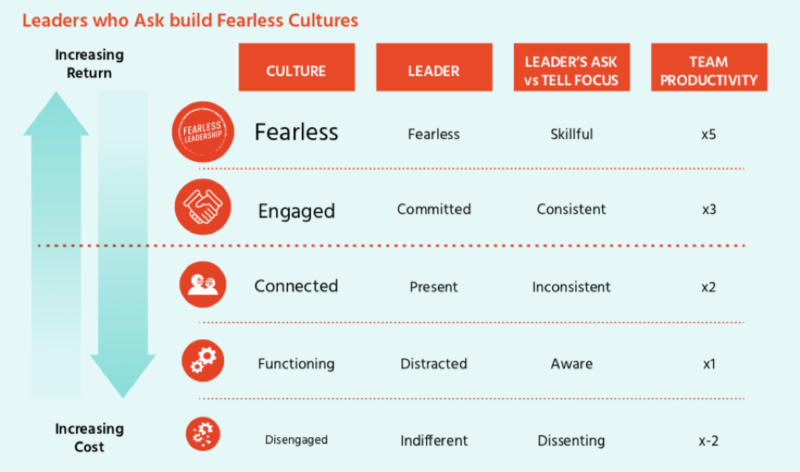 Adding coaching competencies and questioning techniques to your leadership tool kit will equip you to engage, develop and lead people. This program is for leaders who are ready to lead fearlessly and engage fully by adding coaching skills and questions to complement and extend their leadership style. 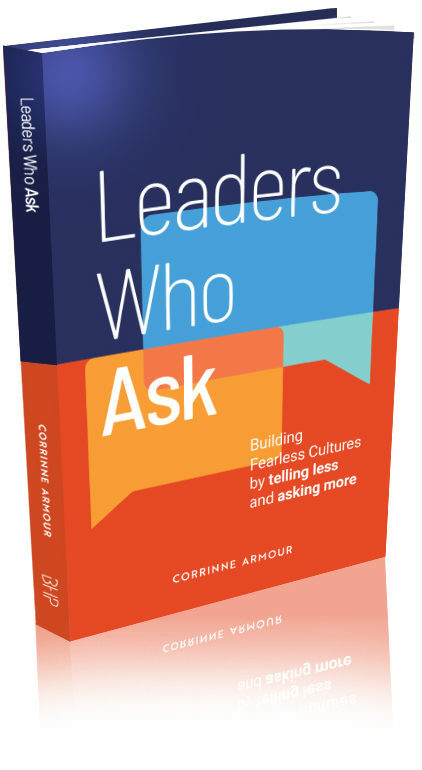 It is ideal for leaders who are embarking on a cultural change program. The program is ideally suited to support organisational cultural change programs, or to complement the removal for a traditional performance appraisal system. This program has given our leaders a new mindset that is more collaborative and empowers team members to problem solve and set their own path. The Leaders Who Ask course was a valuable tool in helping me to reflect on my practice as a manager, team mate and leader, and to learn about the benefits of asking the right questions at the right times. I am getting the best results ever. My team is engaged, my direct reports are learning and stepping up. I am having great conversations that push boundaries. And yet I feel like I am working less! I wish I had learned an ‘Asking Approach’ years ago.